Harold A. Bascom is a Guyanese playwright, novelist, and artist, who was born in 1951, in Guyana, South America. He was born in the village of Vergenoegen on the East bank of the Essequibo River. His parents left there when he was five years old. The Bascom family eventually resettled in the village of New, Road Vreed-en-Hoop on the West Coast of the Demerara River. It was there that he attended St. Swithin’s Anglican School, and later the West Demerara Secondary school, after which he dropped out to become a commercial artist. At age, 19, he became an art director for the old Chronicle newspaper in Georgetown City, after taking over the reins of the art cubicle from Art Director, Eddie Hooper, who was also a renowned Guyanese composer/arranger and prolific singer. It was while at this newspaper that Bascom became known as an illustrator-artist for the periodical’s Sunday short stories. Harold A. Bascom later moved to the Guyana, Ministry of Education. There, he became a well-known book illustrator, under the tutelage of the late, Caldecott winning African American book illustrator, Tom Feelings who spent some time in Guyana as an artist-teacher. While an artist and book illustrator, Harold contemplated film making. He dreamed of being a film director, and set about writing a novel that might lend itself to filmic treatment. His writing project became his first novel, APATA: The Story of a Reluctant Criminal (Heinemann educational Books, 1986). It is about the 1959 manhunt for Clement Cuffy, a black desperado with a gun who was deemed public enemy #1 by the colonial government of Guyana—then British Guiana. A career in film, however, did not materialize in the wake of APATA, but Bascom would not give up: He thought that if he got into drama, the goal of becoming a film director was still achievable; so he became a playwright. Between 1987 and 1996 he amassed over fifteen full length plays and a hard-to-beat reputation as a Guyanese theatrical owner, playwright-producer, and director. As a playwright, Harold A. Bascom went on to win the 1994 Guyana Prize for literature with his political drama, Two Wrongs. He also won the 1996 Guyana Prize with his drama, MAKANTALI, that became the centerpiece for Carifesta X1. Bascom went on to win the 2010 Guyana prize for his full-length radio drama, Blank Document. He then won the 2014 Guyana Prize (for the fourth time) with his ambitious drama, DESPERATE FOR RELEVANCE: A Surreal Drama of Dead Caribbean Writers in a Curious Hereafter. He capped off the latter win by also being awarded, the 2014 Caribbean Award for Literature the first time, for Desperate for Relevance. 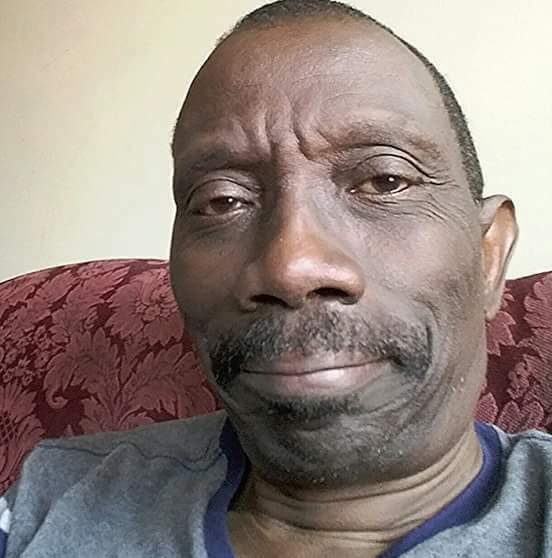 Harold A. Bascom is also the founder of the, Laughing Palette, an art-production studio that has published publications like, 101 Words That Tell You’re Guyanese, and the, Color-Along-With-The-Children, GUYANA COLORING BOOK. Mr. Bascom lives and works in Loganville, Georgia, U.S.A. His email is haroldabascom@yahoo.com, and his Company website is, www.laughingpalette.com.